At the west end of a deep valley stands a castle, its crumbling stone walls patched with glossy sheets of metal and glass. The castle entrance is a wrought-iron portcullis flanked by two motion-sensing turrets. In the valley below, just out of the turrets' range, rests a gold-and-gray transport ship. The symbol of the Iron Lords shines with an otherworldly glow on its folded wings. The Iron Lords have come to challenge Warlord Rience. Two Sparrows skim lightly over the grass as they head toward the ship, the castle at their backs.Perun and Radegast dismount.They nod to each other wordlessly, and part. Perun walked up the ship’s gangplank and made straight for Jolder's room. She hit the door controls and stepped inside. "I'm almost ready," Jolder said, before Perun could speak. Jolder stood next to a chest full of weapons, armor and other gear. She flashed Perun a bright smile as she cinched the straps of her gold-and-white cuirass. Jolder smiled. "I figured he would. Your plans have a way of working out." Perun leaned against the doorframe. 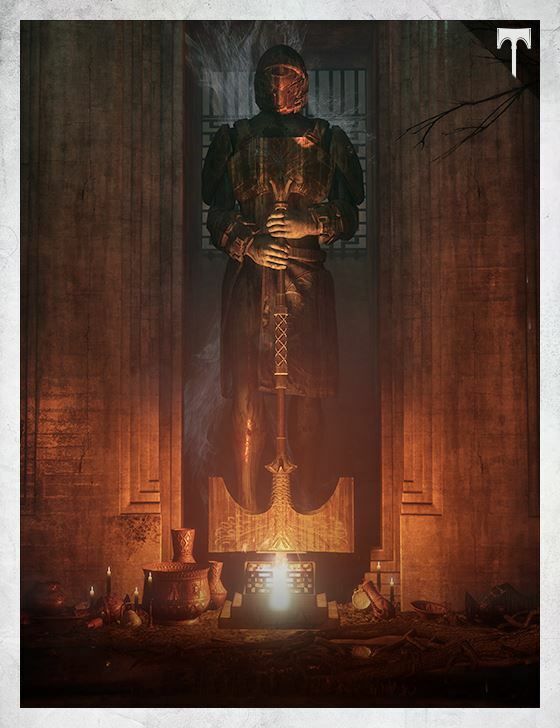 "Saladin and Efrideet both volunteered to be your second." "Hm." Jolder took a pair of gauntlets out of the chest and put them on. "Saladin's better at staying calm under pressure." "We need a second, it's ‘cause you're dead. No one will be calm." "Right. Efrideet, then. She fights better when she's angry." Jolder tightened the straps of her gauntlets, then made a fist. "Hold this?" She handed Perun a shield, golden and reflective as a mirror. Perun rolled her eyes, but held the shield up, front toward Jolder. Jolder took a small pot of black liquid and a thin brush out of the chest, then stood in front of the shield and began lining her left eye with kohl. "Who’re they sending?" "Do you know that, or do you just know?" "Just know," Perun said. "Rience will figure we send you. So, how to respond? He thinks bigger is better. So, Melig." Jolder smiled. "Tell Rience he can send two. Otherwise—" Jolder finished the line of kohl with a flick of her wrist, leaving a sharp black wing at the corner of her eye. "My battle-paint will be for nothing." Perun chuckled drily, without smiling. "Not the best tactical move." "But it'd be more fun." Jolder arched her brow, her right eye half-painted, and looked over the shield rim at Perun. "What are you thinking?" Perun ran a hand through her close-cropped hair. "Don’t know yet. Seems... too easy. I were Rience, I'd be thinking about poison, neurojammers... Man like him with nothing to lose, might even target your Ghost." Jolder slung her shield across her back, tucked her helmet under her arm, and hefted her enormous battle-axe casually over one armored shoulder. In her full battle harness, she towered over Perun, the plates of her gold-and-white armor gleaming in the dim light. "All right," Jolder smiled. "I'm ready."